Was Your Personal Injury Claim Denied? We Can Help! Legitimate personal injury claims can be denied for any number of reasons. It’s shocking and disappointing, but by no means is a denial the last word on your case. If you receive a letter stating that you have had a personal injury claim denied, your next steps should be to talk with a lawyer and file for a hearing in front of a Deputy Commissioner of the NC Industrial Commission. The personal injury lawyers at Wilson, Reives & Silverman know your rights and are ready to help you receive the compensation you deserve. Your health may have already been compromised – let our attorneys help you while you get back on your feet. Just because you didn’t report your claim immediately doesn’t mean you weren’t hurt. However, some insurers assume that if you didn’t report it immediately, your injury was not serious enough to warrant a personal injury claim. A lawyer can help prove that your injury was related to an accident caused by the actions or negligence of another person. Some injuries, including traumatic brain injury, may not seem serious until a day or several days after the accident. Because of this, it is possible to recover compensation even if you did not report the injury immediately. While you can’t change the fact that your injury might not have been witnessed by others, some insurers might question this kind of personal injury claim. When an accident occurs, it is important to gather witness accounts as soon as possible. If you do not know of any witnesses and your claim is denied, you can reconsider if there is a way to identify witnesses. You may be able to do this through surveillance video footage. You can also return to the site of the accident, such as a residential neighborhood. There, you may find people who may remember something from the day of your accident. Insurers will usually ask an injured party to sign medical authorization forms or give a recorded statement. However, giving a statement without a lawyer present puts you in a vulnerable position. Additionally, no law requires you to give one. An experienced lawyer can help you understand your rights. If you have a personal injury claim denied on this basis, a lawyer can advocate for your right not to sign authorizations or give a recorded statement. Look at your personal injury claim denial letter for the reason or reasons your claim was denied, and talk to an attorney if you are still uncertain why your claim was denied. Contact Wilson, Reives & Silverman for your free Personal Injury Consultation. 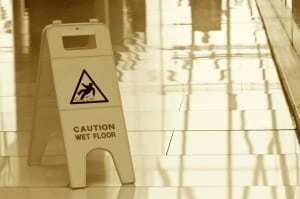 How do I challenge a denied personal injury claim? You likely can challenge many of these denials. While having a personal injury claim denied is not an ideal outcome, it does not mean it is the final outcome. The personal injury lawyers at Wilson, Reives & Silverman are here to provide you with trusted, effective legal counsel, to help you determine whether filing for a hearing is the best course of action, and if so, to prepare your case for mediation. We can advise the best next steps for you to get the benefits you deserve if you have been injured due to the actions of another person. It will not cost you anything to come in for a consultation. At Wilson, Reives & Silverman, PLLC, all consultations for personal injury cases are given free of charge. Contact Wilson, Reives & Silverman to learn more about your legal rights.